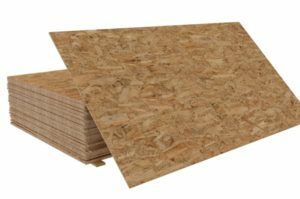 The Oriented Strand Board (OSB) is an engineered wood that is formed by the addition of adhesives to wood flakes and compressing them is a specific orientation. The glued flakes form a wooden board that is much stronger. OSB is also referred to as aspenite or sterling boards and look almost similar to particle boards. When looking for a cheaper alternative, the OSB should be your choice rather than plywood and timber. The wood required in making OSB boards are from the poplar and aspen trees. The materials are cut and arranged in strands. They are immediately dried and glued together using specific resins. OSB and the plywood have almost the same uses albeit differences in terms of the marketplace and manufacture. Why would you opt to use an OSB? Here are some of the uses that may answer the question. Flooring can be done using plywood, tiles, wooden boards, and OSB, however, of all these materials OSB is the best. This option will depend on a person’s preferences. People who like a wooden floor can opt for the OSB because of its pocket-friendly prices. Nevertheless, some people do choose the tiles and hardwood because they are durable. Hardwoods, concrete, plywood, and OSB can be used to make the wall. OSB has fewer strengths as compared with concrete and hardwoods but it can reduce the cost of an upgrade or construction. Another advantage is that it gives the rooms a more natural look. Materials such as the cedar wood, corrugated metals, and the seamed metal are good options of roofing the sheath. The OSB board can be an addition to this list as it will add a more natural look. It is also a cheaper choice than the other materials. However, the OSB is more vulnerable to weather elements as it absorbs moisture and bulge. To solve this problem the OSB can be treated with water-resistant materials. The OSB can be used in making furniture pieces such as chairs and tables. Furniture made from plywood are dull and need painting. In such a case the osb board can be a better choice because they do not require painting. The binders for indoor use is phenol formaldehyde which is environmentally friendly and strong. Moreover the OSB will be delivered to you whether you are within Manchester or North West side of the UK.